Saudi Arabia-led OPEC launched a price war in late 2014 that sent oil prices spiraling lower, forcing dozens of American shale companies into bankruptcy. Lilis Energy, a tiny shale driller that took on too much debt during the boom years, quickly ran out of money and nearly went out of business, too. The company laid off almost its entire work force, ceased drilling and its stock plunged so low that it was kicked off the Nasdaq. 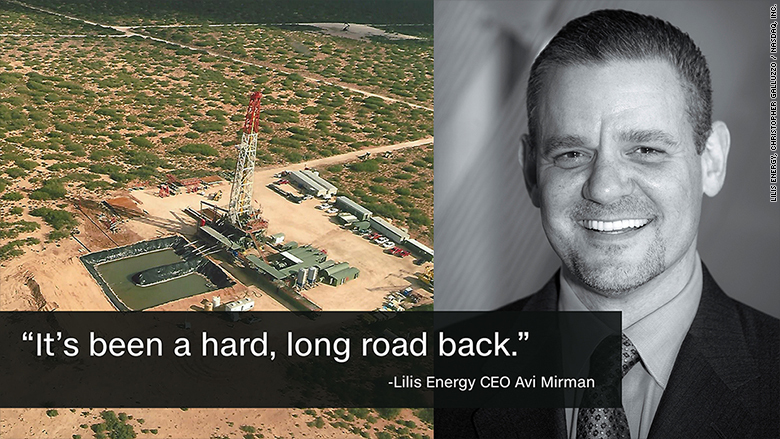 "We got caught up in the oil storm and were nearly dead," Lilis CEO Avi Mirman told CNNMoney. Now, Lilis and many other US shale producers are on the comeback trail, creating serious headaches for OPEC at a time when the cartel is trying to balance overflowing oil markets. In the span of less than a year, Lilis (LLEX) has gone from a nearly-bankrupt penny stock to returning to the Nasdaq and this week being listed on the New York Stock Exchange. Thanks to raising gobs of cash, Lilis was able to merge with another distressed oil company and fix both of their balance sheets. "It's been a hard, long road back. But this team sweated it out and made it," said Mirman, who along with a few other senior Lilis execs didn't take a paycheck for several months during the downturn. Lilis's turnaround is symbolic of how OPEC's price war has failed to crush or even sideline US shale. In fact, OPEC's strategy has flushed out the weaker players. Many drillers in Texas, the Dakotas and elsewhere either flirted with bankruptcy or actually filed for Chapter 11 and some are still struggling. A New Orleans-based oil services firm, Tidewater (TDW), warned on Friday it expects to file for bankruptcy next week. But overall, US shale has come back, more resilient than ever. Nowhere is that more evident than the Permian Basin, the shale hotbed in Texas and New Mexico where Lillis has refocused its business. Cash is pouring into the Permian, lured by a unique geology that allows frackers to hit multiple layers of oil as they drill into the ground, making it lucrative to drill in the Permian even in today's low prices. OPEC tried to "smoke out the weak," Mirman said. "It's totally backfired. Assets have been put in the hands of the strong and those who can withstand the storms." Related: OPEC to US: Please don't pump so much oil! Even ExxonMobil (XOM), which was late to the shale game, is taking notice. Earlier this year Exxon doubled its presence in the Permian in a $5.6 billion acquisition that marked the oil giant's biggest deal since 2010. The Permian is the reason why US government forecasters are predicting domestic oi production will fully recover from the OPEC-fueled dip and hit a new record next year. "US shale players have been able to hunker down and survive much better than anyone expected," said Matt Smith, director of commodity research at ClipperData. OPEC seems to realize it has a problem, one that it can't control on its own. The oil cartel issued an unusual plea this week asking the US to pump less oil, saying in its monthly report that balancing the market requires the "collective efforts of all oil producers." One of the hidden keys behind the resurgence of US shale is the renewed availability of financing. Credit markets were all but closed to smaller, bloated shale companies when oil prices crashed as low as $26 a barrel in early 2016. But Lilis's comeback shows that these shale players can now raise lots of money to fund their expansion, at least to drill in the Permian. Lilis raised $20 million in June 2016 to pay for its acquisition of Brushy Resources, a Permian driller that was drowning in debt. 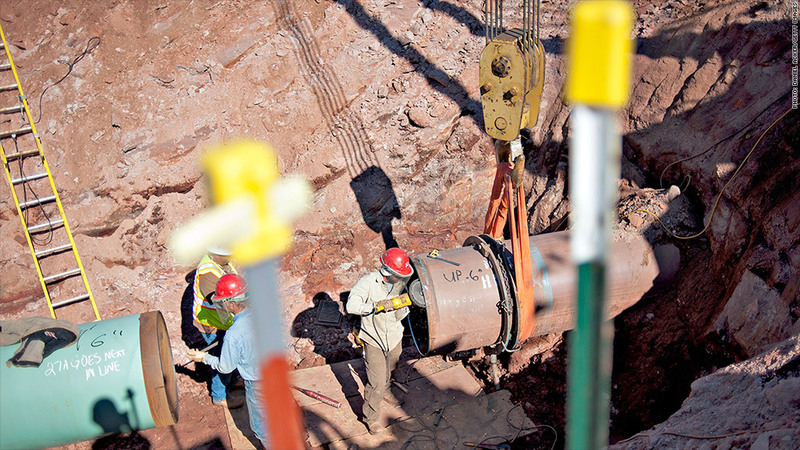 Last month, Lilis raised another $140 million to fund drilling, leasing and acquisitions. "There's so much more cash available than elsewhere. That's why we're seeing these guys survive better," said ClipperData's Smith. The Lilis CEO notes that other factors have played a role: the cost to drill a well has dropped dramatically thanks to technological improvements and discounts on the price to service wells. Companies have also revamped their balance sheets. "It's a result of the oil and gas industry reinventing itself," said Mirman. Now, the challenge for many Permian Basin drillers is to manage the explosion in growth. Pumping too much oil, as OPEC notes, could create a new glut that drives prices below what even Permian drillers can cope with. There's also been a surge in prices for everything from land and talent to the sand needed to drill.